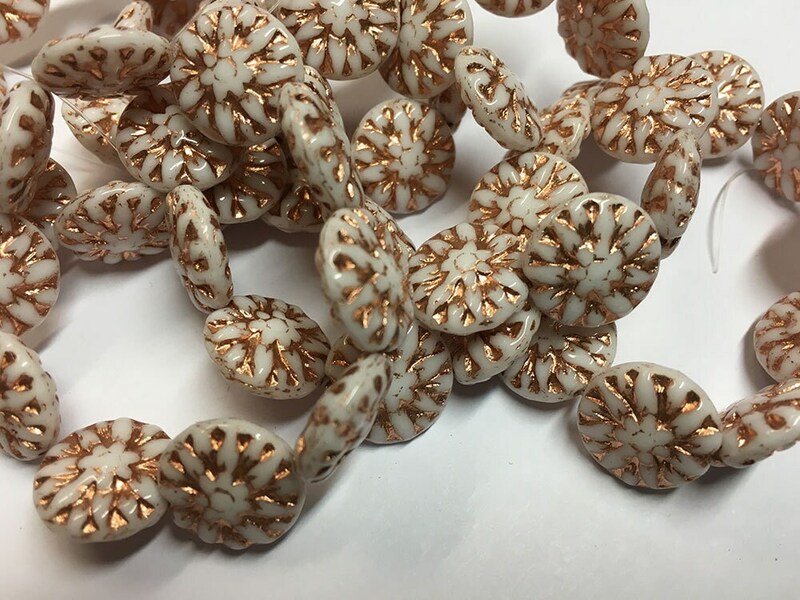 White Czech pressed glass 14mm dahlia flower beads with copper finish. 10 beads per strand. 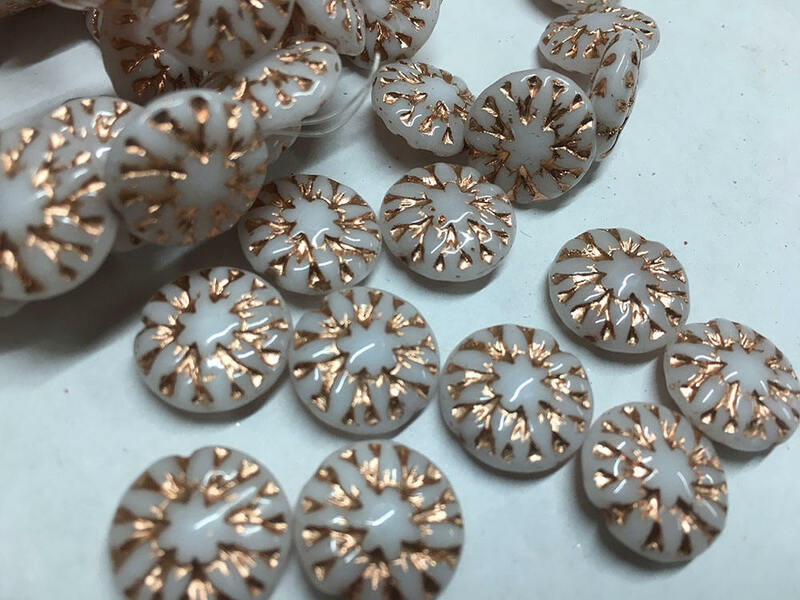 Love these beads, nice color and fast shipping.